Over the years Shannon has come across many pets that for one reason or another aren’t “normal”. They are “Special Needs Pets”, in the fact that they have behavioral issues, medical needs or are senior pets. Pets can have behavioral issues such as aggression, or anxiety. Many develop medical issues and need medication such as Diabetes, Thyroid, Kidney Failure, or Epilepsy. As pets get older they also develop issues such as arthritis, sight & hearing reduction or loss. It is hard enough to be able to leave your pet but when your pet is a “Special Needs” pet that makes the task even more difficult. Speaking from personal experience & having a “Special Needs” cat of her own with Kidney Failure, Shannon knows how hard it is trying to find somebody to be able to take care of them, understand their needs & be able to administer their medication. There are a lot of pet care providers out there that do not have the specialized training & experience in how to work with & handle caring for these pets. With behavioral issues such as aggression, or anxiety many pet care providers will refuse to take on these pets. Either for the fact of the additional time & effort that needs to be put into their care, or the chance of being injured. Shannon welcomes these “Special Needs” pets with open arms. She loves love the challenge of working with these pets, being able to help them over come obstacles, and being able to help their owners cope with their “Special Needs”. Yes it takes a lot of extra work & patients but the result at the end of the day is the ultimate reward for her! Shannon does not claim to be a “trainer” or “veterinarian” by any means. Having the opportunity to work with the founders of “Specialized Veterinary Medicine” in Illinois, Shannon was able to specialize in internal medicine, cardiology, & emergency medicine in pets. She obtained a good medical background as a certified veterinary assistant, and has worked closely with many behavioralists & trainers. Shannon has learned techniques, methods & ideas that have enabled her to earn the trust & respect from these pets in order to properly care for them. She knows several methods & “tricks” to medicate pets, behavioral & training methods to work with aggressive, nervous or shy pets. As well as a trained eye to see clinical signs and have an understanding of senior pets abilities & needs. It may take a few visits prior to your departure of me working with your pet to ensure we are both comfortable with their care while you are away. We do not charge extra for the care of these pets unless extra time beyond the standard stop by or overnight averages is exceeded or necessary. The initial consultation as always is free. Any additional visits to your home after to meet with you or work with your pets is subject to the standard stop by rate. Shannon is only willing to work with a pet & it’s owner under the following circumstance. The pet owner MUST be willing to acknowledge, except, and work to improve or properly care for their pets “Special Needs”. There are times a pet owner is not aware their pet has a “special need”. This is sometimes accessed after we have cared for the pet. In this situation Shannon will bring it to the attention to the pet owner in a understanding and suggestive manner. She will try to educate, make suggestions and do her best to work out a plan of action with the pet owner. If she feels that the pet owner is not willing, or has not taken the necessary steps to work with Shannon and their pet to properly handle their pets needs we will refuse to care for the pet. 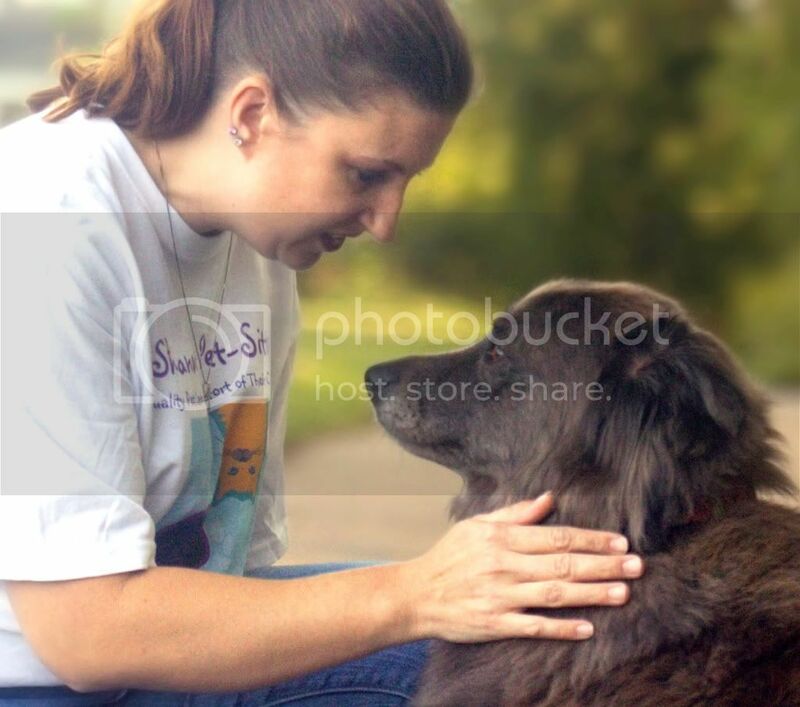 Shannon has to do what is the best interest of the pet and for the safety and well being of all those involved in the pets care. We are always willing to give references and brag about the “Special Needs” pets that we care for! Their owners are also willing to share their experiences of working with Shannon & the strides we’ve made with their pets together. After all their success stories are our success stories! Shannon works under the philosophy “There is no such thing as a bad pet, only bad owners”. Pets do things for a reason. Once you understand and respect their reasoning you are better able to work together with them. NOTE: ONLY SHANNON will personally work with pets with aggression issues as to not put her pet sitters at risk or in unnecessary danger.